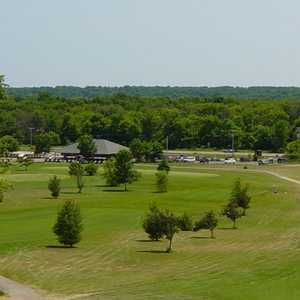 The 9-hole Blue at Hickory Ridge Golf Course in Galesburg, MI is a public golf course that opened in 1994. Designed by Kenneth & David Dart, Blue at Hickory Ridge Golf Course measures 2180 yards from the longest tees. The course features 3 sets of tees for different skill levels. 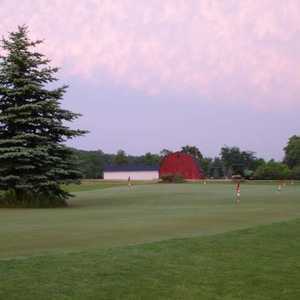 The 9-hole Red at Hickory Ridge Golf Course in Galesburg, MI is a public golf course that opened in 1995. Designed by Kenneth & David Dart, Red at Hickory Ridge Golf Course measures 2370 yards from the longest tees. The course features 3 sets of tees for different skill levels. 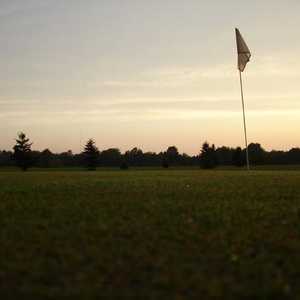 The 9-hole White at Hickory Ridge Golf Course in Galesburg, MI is a public golf course that opened in 1994. Designed by Kenneth & David Dart, White at Hickory Ridge Golf Course measures 2076 yards from the longest tees. The course features 3 sets of tees for different skill levels.